Fearing the unknown is a common human response, but it’s definitely not OK to fear a large group of people. 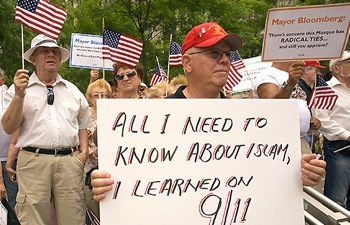 Islam wasn’t widely talked about in the U.S. 15 years ago. But after the 9/11 attacks and the wars in both Afghanistan and Iraq, Islam has been brought to the forefront of conversation. Some use the terrifying images of extremism like ISIS, Hamas and Al-Qaida to give a “clear” picture to the face of Islam, but here’s the thing: There’s no logical way that’s true. Maybe the writer, named “Jamil Oakford” is not entirely without personal interests in Islam.